These are the Cornish wildflowers that are keeping things bright in this dullest of months. 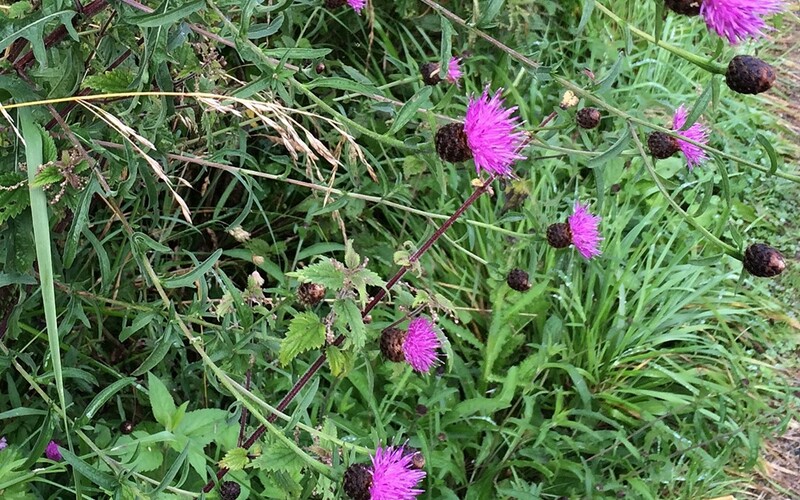 A particular favourite are the elegant bobbing magenta heads of Meadow Thistle – Cirsium dissectum. It’s a thistle with a welcome bonus – no spiny leaves! 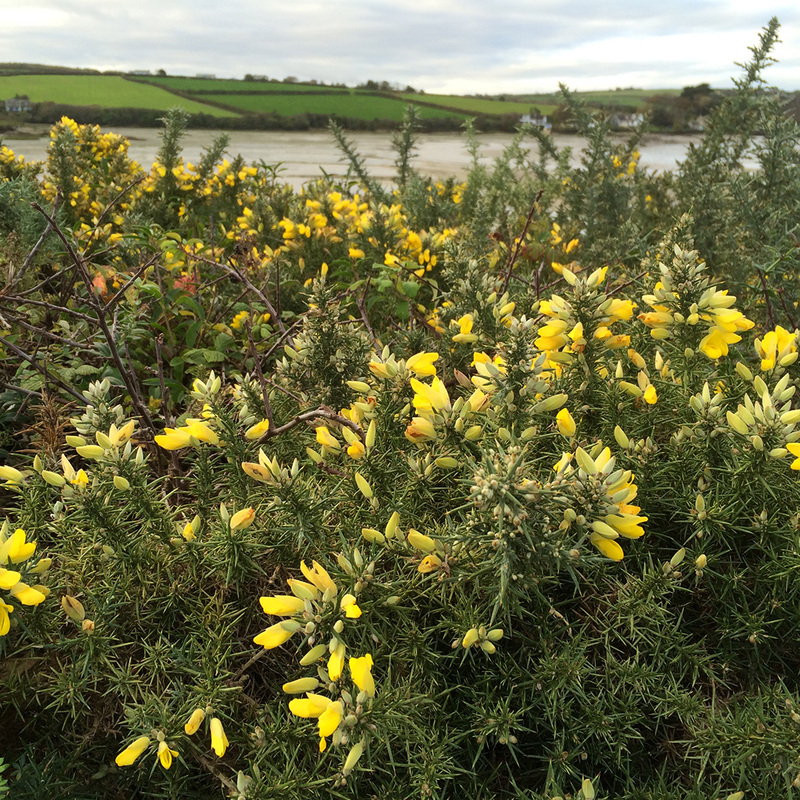 ‘When gorse is out of bloom, kissing is out of season’. Flowering on and off for most of the year, these coconut scented flowers brighten up the camel trail, and at the moment in this dullest of months they are really looking stunning. 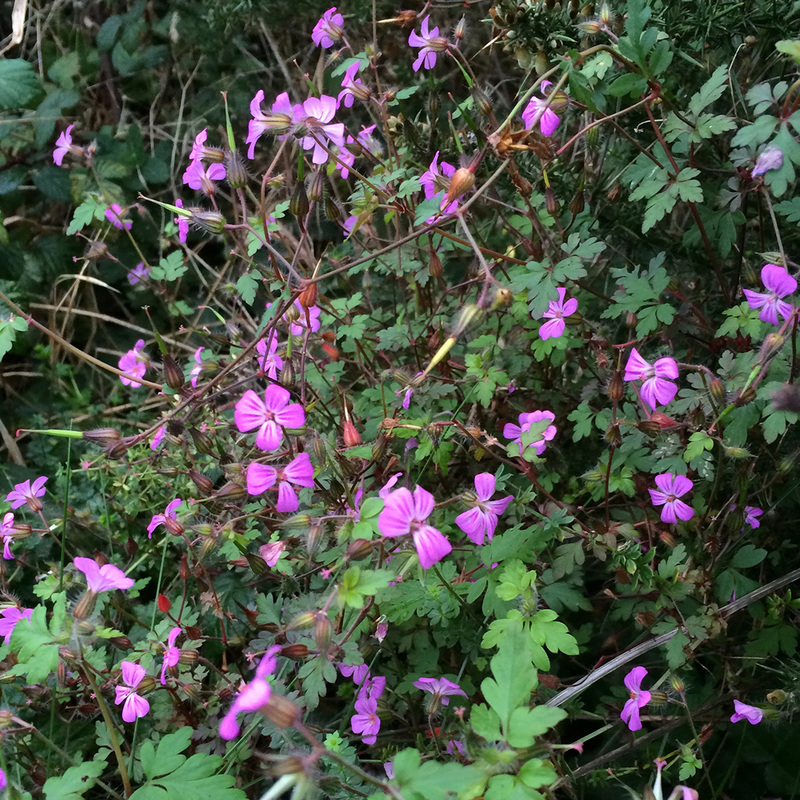 Herb robert – Geranium robertianum is in it’s element at the moment. Whilst other wildflowers are dying back it is thriving. Flowering for 8 months it’s one of the longest members of the geranium family. With it’s dainty flowers and attractive fern-like leaves you wouldn’t expect that it has an unpleasant smell when crushed, which has earned it the name ‘Stinky Bob’.